Is this a reboot (I've lost track) or did he lose his old costume? 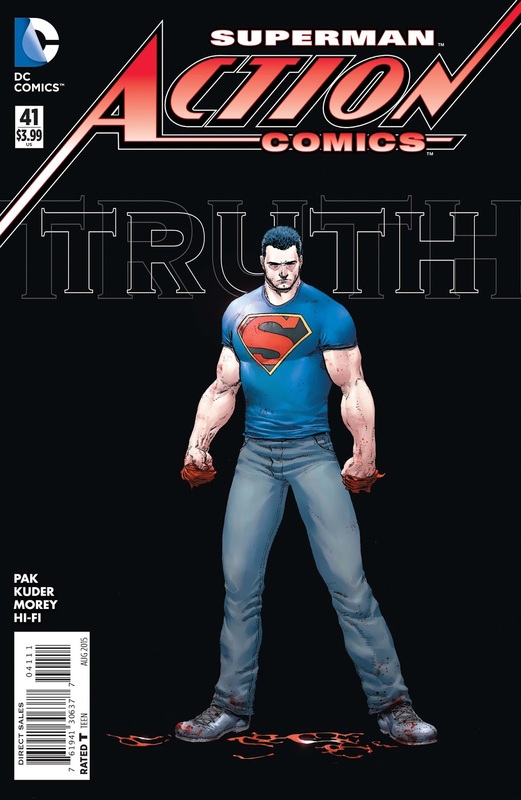 If it's a reboot (assuming he's never had the traditional costume), where did he get a t-shirt with a big S? I care but not enough to buy a copy. Or he could have just silkscreened a shirt. Is this not the comic where Superman sides with peaceful protesters against violent, corrupt policemen?